Also joining us as our Surprise Party Guest is an amazing friend – Rahmat!! She’s an amazing creator and I bet you’ll be very inspired her creations! Since it is the new year, I decided to try something new – a new technique! I used Altenew Hannah Elements, and followed this pretty technique, presented by the amazingly talented Laura Jane, to color my flowers. I just love the effects!! I had tried this technique at an earlier time, without success. This time, I tried using a darker kraft ink, and that lead to beautiful flowers indeed! Of course, I need some more tries to perfect the look, but this technique is something I wanted to try for such a long time, so I am pretty happy! I hope you are inspired by my card! 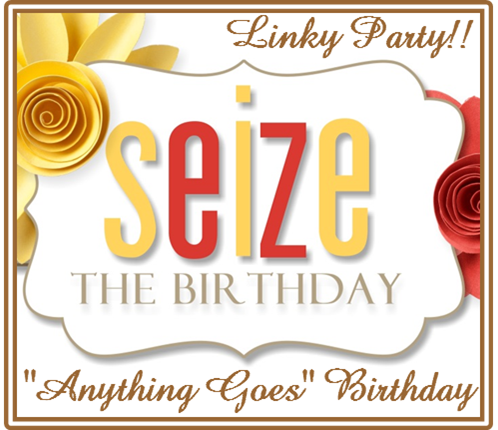 For more inspiration pop over to the Seize the Birthday blog, and then, take some crafty time off the participate! 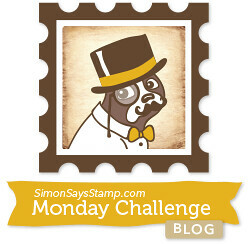 This entry was posted in Card Challenges, Seize the Birthday DT and tagged #Cards, #CAS-ualFridaysChallenge, #HandmadeCards, #Paru'sCardMakingChallenge, #SimonSaysStampChallenges, #SSSMondayChallenge, #SSSWednesdayChallenge, SeizeTheBirthdayDT. Bookmark the permalink. I can’t begin to tell you how beautiful this card is! When I saw it I was in awe! Super super job Ashwini! WOW WOW WOW, it s so bold and vibrant Ashwini, I love the fantastic coloring you did here, it is one of my favorite of your creations, you know that I love all your cards, would spot them anywhere on the blogland, without your name on it. Happy to be a Guest at Seize the Birthday, and more happy that we are both together for once, not as players though 😉 Love it!! Wow! Your card really stands out, I love it, what a wonderful technique, you did a great job! Very pretty. Great job with this technique. Love the vibrant colored flowers. Such a beautiful and striking card, Ashwini! Your technique is gorgeous, off to follow the link now to learn more! Thank you so much Sandy!! It is a beautiful and easy to do technique, bet you’ll come up with great cards! Stunning card, Ashwini. The flowers are so vibrant, love your coloring! Very pleasing and attractive card with the bright colors. This is a stand alone card! WOW! Beautifully done, you rocked the technique… I’m a fan! Thank you very much Cris! This card definitely is a stunner! I really like the bold colors you used, yet it is still so elegant and sophisticated. The coloring technique turned out beautifully and works so well with the stamps that you chose. 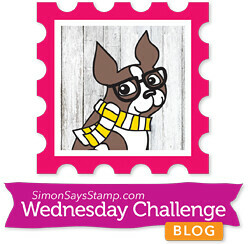 It is full of wonderful details and I’m so glad you shared your talents with us for this week’s Simon Says Stamp Monday Challenge! Thank you so much Andrea!! Thanks for all your kind words! What an amazing technique and how fantastic does it look. Totally brilliant Ashwini, this card with these flowers are a total win. Thank you so much Aileen!! You are too kind! This is absolutely gorgeous! I love the flowers – beautiful colours. Thank you so much Parvathi! Congrats on winning at CAS-ual Fridays. It’s a gorgeous card and you coloured it beautifully. The flowers are so vibrant on your card! What a cheerful birthday card, Ashwini! This is just STUNNING! 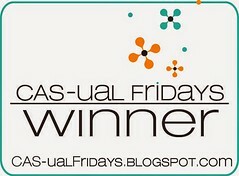 Congrats on a well deserved win at CAS-ual Fridays! Wow…. I can’t stop looking at your card! Thank you very much Zelda!! You make me really happy!! It is truly an honor to think that I could inspire such a LOVELY card:)) Thank you Ashwini, YOUR work always amazes me!